Chingola School for Con Ed. Kamuzu Academy is a selective, co-educational boarding school for pupils in the 11 – 18 age range. It occupies a large, purpose-built campus close to the village of Mtunthama, the 150 km journey from Lilongwe taking about 2 hours to drive. Its rural setting, far from the distractions of large towns or cities, allows pupils to concentrate fully upon their educational development. 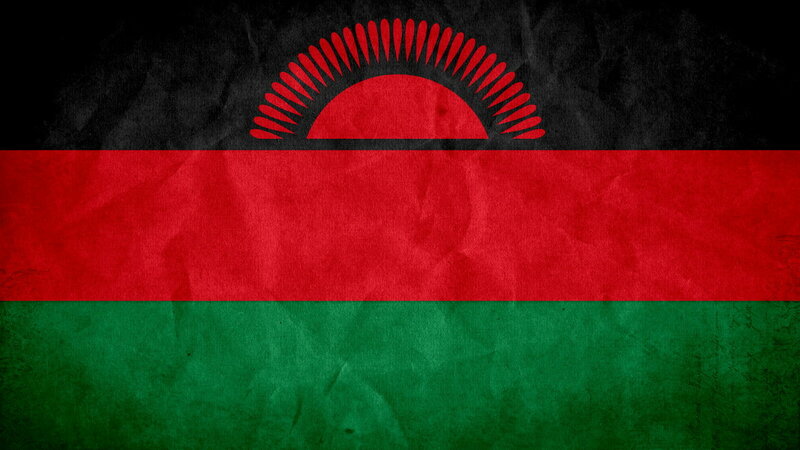 It was founded by Malawi’s first President, Dr H. Kamuzu Banda, to provide educated leaders for southern Africa in general and Malawi in particular. is a boarding school for boys, located in the northern part of Malawi, only a few kilometers from Lake Malawi and the town of Karonga. The students at Chaminade — named after the founder of the Marianists — are mostly local boys, many living in poverty, and yet who can excel at school if given the chance. St Andrew’s provides a broad internationally recognized curriculum in which our students can achieve their full potential in all aspects of school life. Whatever their ability, in a safe and tranquil environment. Complete List of Secondary Schools in Malawi. ALMA (Pvt) Secondary School P.O. Box 217 Mzimba. ASTEPI (Pvt) Secondary School P.O. Box 152 Luchenza. Bakhita DEC P.O. Box 62 Balaka. Balaka Secondary School P.O. Box 222 Balaka. Bambino (Pvt) Secondary School P.O. Box 1614 Lilongwe. Bandawe Secondary School P/Bag 1 Chintheche, Nkhata Bay. Bangula Secondary School P/Bag 2 Chiromo. Baptist (Pvt) Secondary School P.O. Box 292 Lilongwe. Berelin (Pvt) Secondary School P.O. Box 144 Bvumbwe. Bethel (Pvt) Secondary School P/Bag 368 Blantyre 3. Bilila CDSS P.O. Box 41 Bilila. Blantyre Secondary School P/Bag 10 Blantyre. Bvumbwe (Pvt) Secondary School P/Bag 5 Bvumbwe. Bvumbwe CDSS P.O. Box 43 Thyolo. Bwaila Secondary School P.O. Box 410 Lilongwe. Cathie (Pvt) Secondary School P.O. Box 171 Nchalo. Central College of Commerce P.O. Box 864 Lilongwe. Chaminade Secondary School P.O. Box 100 Karonga. Chankhanga DEC P.O. Box 209 Kasungu. Chayamba Secondary School P/Bag 1 Kasungu. Chigodi CDSS P.A. Santhe Kasungu. Chikhwaza CDSS P.O. Box 196 Luchenza. Chikwawa Secondary School P.O. Box 5 Chikwawa. Chikweo CDSS P.O. Box 1 Chikweo. Chilambula CDSS P.O. Box 1093 Lilongwe. Chilanga CDSS P.O. Box 36 Kasungu. Chilomoni (Pvt) Secondary School P.O. Box 2855 Blantyre. Chilumba Secondary School P/Bag 2 Chilumba. Chimbale (Pvt) Secondary School P.O. Box 2586 Blantyre. Chipasula Secondary School P/Bag 71 Lilongwe. Chiradzulu Secondary School P/Bag 3 Chlradzulu. Chisenga Secondary School P/A Chisenga Chitipa. Chitipa Secondary School P.O. Box 99 Chitipa. Chiyambi (Pvt) Secondary School P.O. Box 60 Mwanza. DDK and N Girls (Pvt) P.O. Box 237 Chikwawa. Debora (Pvt) Secretary School P.O. Box 874 Blantyre. Domasi (Pvt) Secondary School P.O. Box 11 Domasi. Dowa Secondary School P/Bag 1 Mponela. Dzuka Girls (Pvt) Secondary School P.O. Box 86 Nathenje. Edingeni CDSS P.A. M’mbelwa P.O. Mzimba. Ekwendeni DEC P.O Box 18 Ekwendeni. Ekwendeni Girls Secondary School P.O. Box 2 Ekwendeni. Embangweni CDSS P.O. Box 60 Embangweni. Euthini DEC P.O. Box 6 Euthini. Euthini Secondary School P.O. Box 21 Euthini. Good Maganizo (Pvt) Secondary School P.O. Box 225 Thyolo. HHI Secondary School P.O. Box 65 Blantyre. Jamia Islamia (Pvt) Secondary School P.O. Box 51182 Limbe. Johnstone (Pvt) Secondary School P.O. Box 5793 Limbe. Kabula Modern High School P/Bag 5130 Limbe. Kachingwe DEC P.O. Box 17 Njuli. Kamacha (Pvt) Secondary School P/Bag 351 Blantyre 3. Kaphuka (Pvt) Secondary School P.O. Box 30823 Blantyre 3. Karonga Foundation for Education P.O. Box 132 Karonga. Karonga TTC Night Secondary School P.O. Box 222 Karonga. Kasungu Secondary School P.O. Box 316 Kasungu. Katoto Secondary School P/Bag 36 Mzuzu. Kings Foundation (Pvt) Secondary School P.O. Box 361 Ntcheu. Kirk Range (Pvt) Secondary School P/Bag 12 Balaka. Lilongwe Girls Secondary School P.O. Box 186 Lilongwe. Limbani (Pvt) Secondary School P.O. Box 59 Liwonde. Linthipe Secondary School P/Bag 3 Linthipe. Lisumbwi Secondary School P/Bag 3 Monkey Bay. Livingstonia Secondary School P.O. Box 4 Livingstonia. Liwaladzi Secondary School P.O. Box 43 Liwaladzi. Liwonde (Pvt) Secondary School P.O. Box 143 Liwonde. Liwonde Secondary School P/Bag 18 Liwonde. Luchenza (Pvt) Secondary School P.O. Box 195 Luchenza. Luchenza Secondary School P.O. Box 84 Luchenza. Ludzi Girls Secondary School P.O. Box 43 Mchinji. Lunzu Secondary School P.O. Box 130 Lunzu. Madisi Secondary School P.O. Box 160 Madisi. Magisa (Pvt) Secondary School P.O. Box 479 Salima. Makalanga (Pvt) Secondary School P.O. Box 51794 Limbe. Malamulo Secondary School P/Bag 3 Makwasa. Mangochi (Pvt) Secondary School P.O. Box 31 Mangochi. Mangochi Secondary School P/Bag 1 Mangochi. Marymount Secondary School P.O. Box 137 Mzuzu. Masongola Secondary School P.O. Box 283 Zomba. Mast Day (Pvt) Secondary School P/Bag 108 Kasungu. Matindi (Pvt) Secondary School P.O. Box 235 Lunzu. Mchinji Secondary School P/Bag 4 Mchinji. Midlands (Pvt) Secondary School P.O. Box 1393 Lilongwe. Mkwichi Secondary School P/Bag 249 Lilongwe. Moma Girls (Pvt) Secondary School P.O. Box 90 Nathenje. Mountain View Secondary School P/Bag 12 Bvumbwe. Mpita (Pvt) Secondary School P.O. Box 558 Lilongwe. Mthunzi Secondary School P/Bag 34 Mchinji. Mulanje Secondary School P.O. Box 61 Mulanje. Mulinda (Pvt) Secondary School P.O. Box 172 Mzuzu. Mulunguzi Secondary School P.O. Box 138 Zomba. Mvera Girls (Pvt) Secondary P.O. Box 115 Mvera. Mwansambo Secondary School P/Bag 8 Mwansambo. Mwanza Secondary School P/Bag 2 Mwanza. Mzimba Secondary School P.O. Box 28 Mzimba. Mzimu Oyera Seminary P.O. Box 63 Chikwawa. Mzuzu Secondary School P/Bag 3 Mzuzu. Namitete Secondary School P.O. Box 138 Namitete. Namitete Technical College P/Bag 5 Namitete. Namwera (Pvt) Secondary School P.O. Box 64 Namwera. Nankhunda Seminary P.O. Box 498 Zomba. Nazarene Mission Secondary School P.O. Box 51073 Limbe. Nchalo DEC P.O. Box 145 Nchalo. New Era Girls (Pvt) Secondary School P/Bag 2 Ntcheu. Ngabu Secondary School P/Bag 6 Ngabu. Nkhamenya (Pvt) Secondary School P.O. Box 241 Nkhamenya. Nkhata Bay Secondary School P/Bag 6 Nkhata Bay. Nkhotakota Institute of Education P.O. Box 48 Nkhotakota. Nkhotakota Secondary School P.O. Box 136 Nkhotakota. Nsanje CDSS P.O. Box 41 Nsanje. Nsanje Secondary School P.O. Box 40 Nsanje. Ntcheu Secondary School P.O. Box 42 Ntcheu. Our Future (Pvt) Secondary School P.O. Box 161 Rumphi. Our Lady of Wisdom P.O. Box 5696 Limbe. Phalombe Secondary School P.O. Box 142 Phalombe. Phanda DEC P.O. Box 94 Ngabu. Phwezi Boys (Pvt) Secondary School P.O. Box 2 Rumphi. Phwezi Girls (Pvt) Secondary School P.O. Box 2 Rumphi. Pius X11 Seminary P.O. Box 5603 Limbe. Police Secondary School P.O. Box 41 Zomba. Precious (Pvt) Secondary School P.O. Box 51 744 Limbe. Puteya (Pvt) Secondary School P.O. Box 177 Chilema. Radson (Pvt) Secondary School P.O. Box 30539 Blantyre 3. Radson Boys (Pvt) Secondary School P.O. Box 30539 Blantyre 3. Robert Blake Secondary School P/Bag 1 Dowa. Rukuru (Pvt) Secondary School P.O. Box 264 Rumphi. Rumphi Secondary School P.O. Box 1 33 Rumphi. Sakata (Pvt) Secondary School P.O. Box 235 Luchenza. Salima Secondary School P.O. Box 85 Salima. Sevec (Pvt) Secondary School P/Bag 2 Lilongwe. Soche Hill Secondary School P.O. Box 5692 Limbe. Soche Progressive (Pvt) Secondary School P.O. Box 634 Blantyre. SOS Herman G. Meiner (Pvt) Secondary School P.O. Box 20522 Lilongwe 2. St Bapton (Pvt) Secondary School P.O. Box 1542 Lilongwe. St Dominics (Pvt) Secondary School P.O. Box 30038 Lilongwe 3. St Johns Secondary School P.O. Box 191 Lilongwe. St Mary’s Secondary School P.O. Box 149 Zomba. St Michael’s Girls Secondary School P/Bag 3 Mangochi. St Monica DEC P.O. Box 424 Mangochi. St Patricks Secondary School P.O. Box 5450 Limbe. St Patricks Seminary P.O. Box 20 Rumphi. St Paul the Apostle Seminary P.O. Box 315 Mangochi. Stella Maris Secondary P/Bag 42 Blantyre. Swama (Pvt) Secondary School P.O. Box 76 Namwera. Thyolo Secondary School P.O. Box 34 Thyolo. Tiwale (Pvt) Secondary School P.O. Box 108 Lumbadzi. Twanda (Pvt) Secondary School P/Bag 5 Chitipa. Ulemu kwa Atate (Pvt) Private Secondary School P.O. Box 2237 Lilongwe. Umbwi Secondary School P.O. Box 22 Dedza. Umodzi (Pvt) Secondary School P.O. Box 1208 Blantyre. Viphya (Pvt) Secondary School P/Bag 65 Mzuzu. Walani (Pvt) Secondary School P.O. Box 30023 Lilongwe 3. Wilberforce (Pvt) Secondary School P.O. Box 1282 Blantyre. William Murray Secondary School P.O. Box 44 Nkhoma. Zomba Catholic Secondary School P.O. Box 2 Zomba.